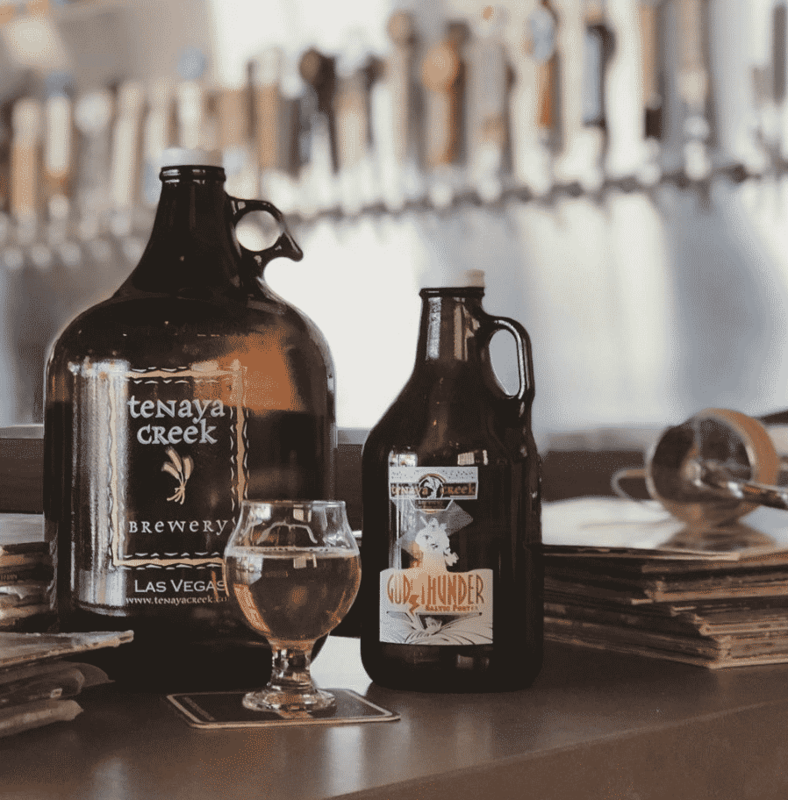 The growth of craft beer brewing in the last decade across America has been absolutely explosive, with the number of breweries in the US tripling, from just over 2,000 back in 2012 to a point where there are now close to 8,000 today. 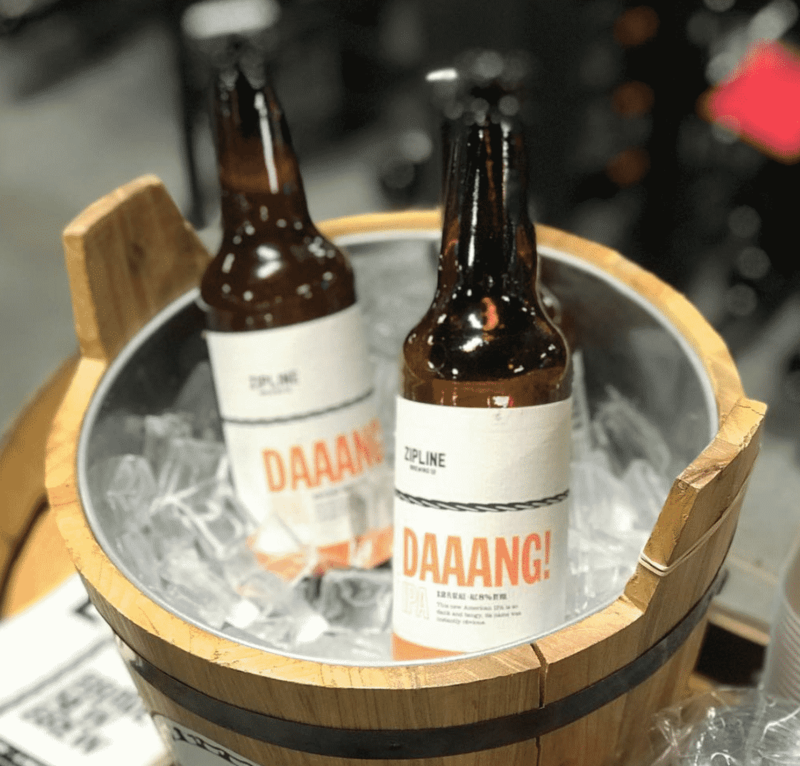 With consumer tastes changing and people looking for more specialised craft experience, budding entrepreneurs have popped up all over the country to create new beers, as well as being joined by bigger drinks companies dipping their toes in the space. 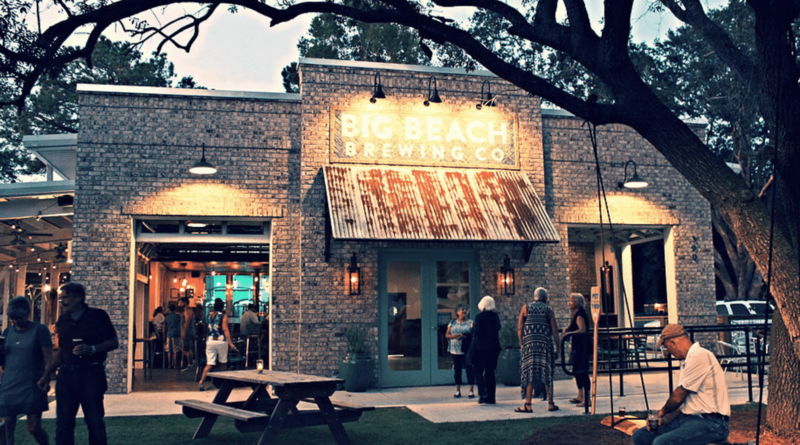 At Big Beach Brewing Company, this 10-barrel brew house located in the heart of Gulf Shores is where you’ll see craft beer lovers soaking up the Southern sun. A great place for both important and unimportant conversations – AKA the best kind. This neighbourhood microbrewery & taproom offers European-style craft beers and tours. 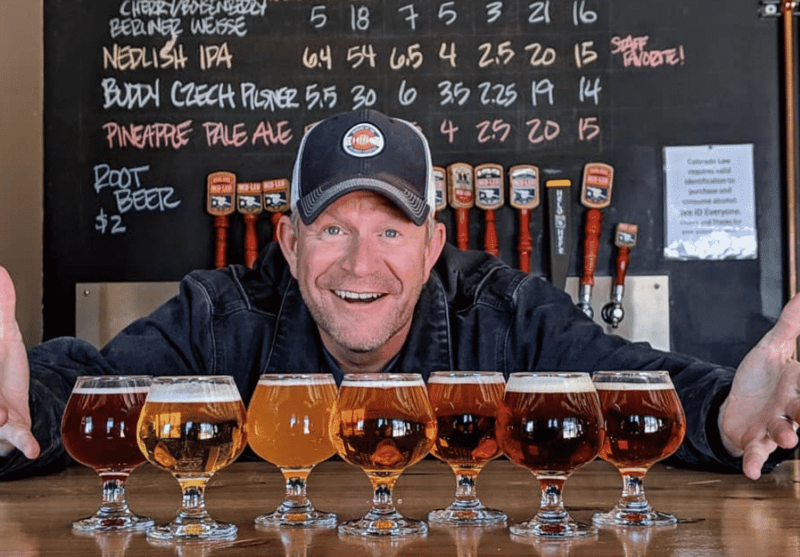 Owner Bobby toured breweries in England, Belgium, Czech Republic and Germany for a closer look at how the world’s best breweries make their delicious beverages, so he’s defo up to scratch. The thirst-quenching passion behind every sip in Gilbert’s first brewery takes its inspiration from the diverse state of Arizona. 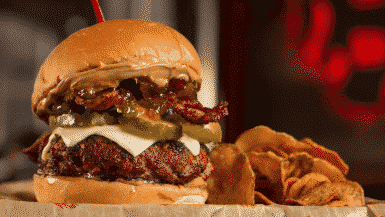 Quality and artfully-created craft beer, plus seriously tasty burgers, makes this craft brewery a must visit. 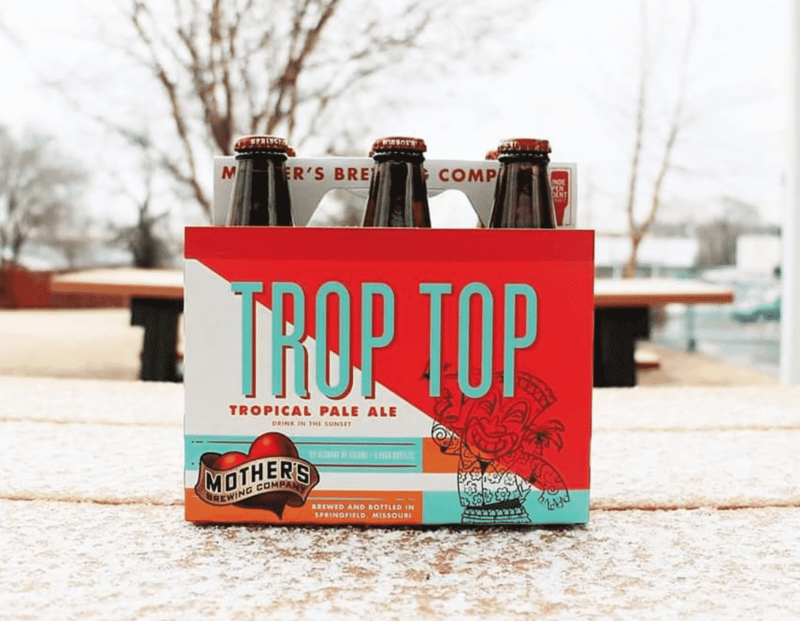 With a focus on American and Belgian-style ales, this funky brewery in the Ozark Mountains has a welcoming tasting room and nice patio area for warm weather. 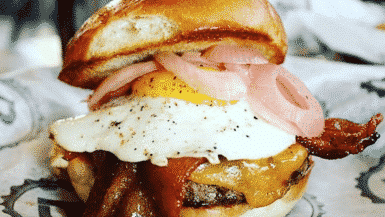 Find their creations at establishments across Northwest Arkansas or visit us at the Fayetteville Tasting Room. 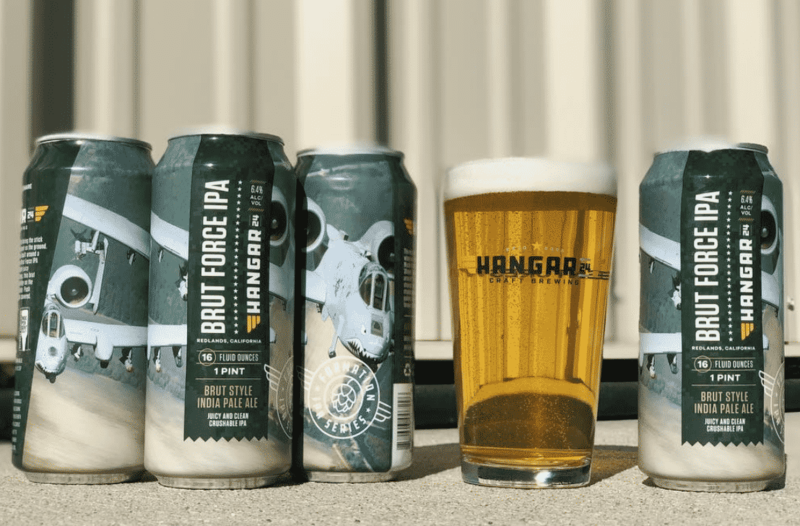 Hangar 24 Craft Brewery makes handcrafted beers inspired by the love of flying, with all refreshing beverages brewed with local ingredients. 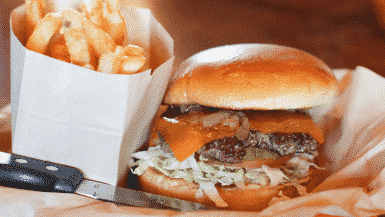 Its incredible signature brew is Orange Wheat, which is made with Californian-grown oranges. Red Leg provides the highest quality craft beer to honour the men and women who currently and formerly served in The United States Military. The craft beers that leave their facility continue the service by providing those who serve with a craft beer they can be proud of. Now that’s something we’ll raise a glass to. This beloved craft brewery & taproom in the heart of the Parkville neighborhood in Hartford, CT is a real gem. 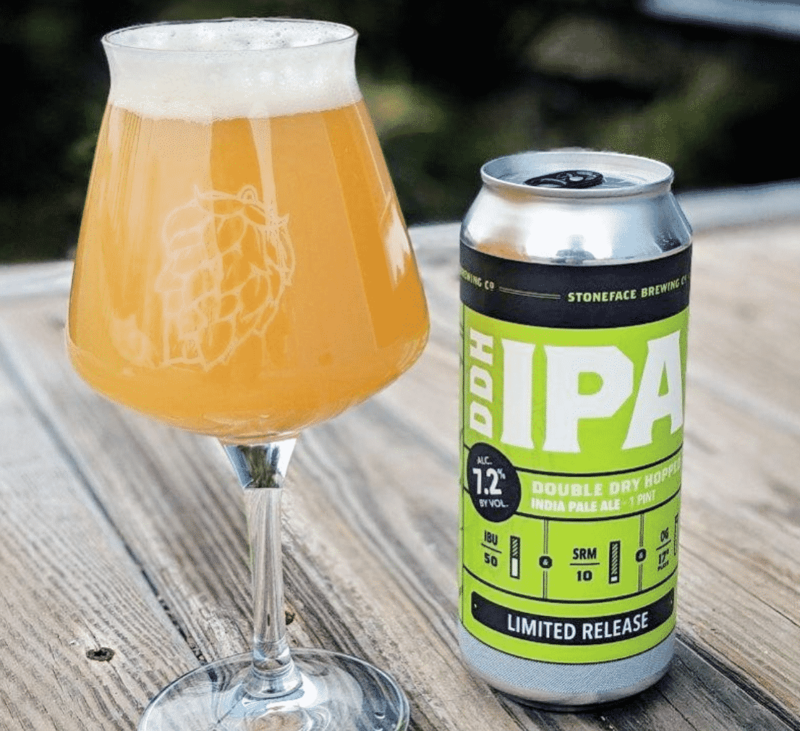 While their passion is classic German-style beers (they have a great award-winning Kölsch) they also brew some creative styles such as the popular New England IPA. 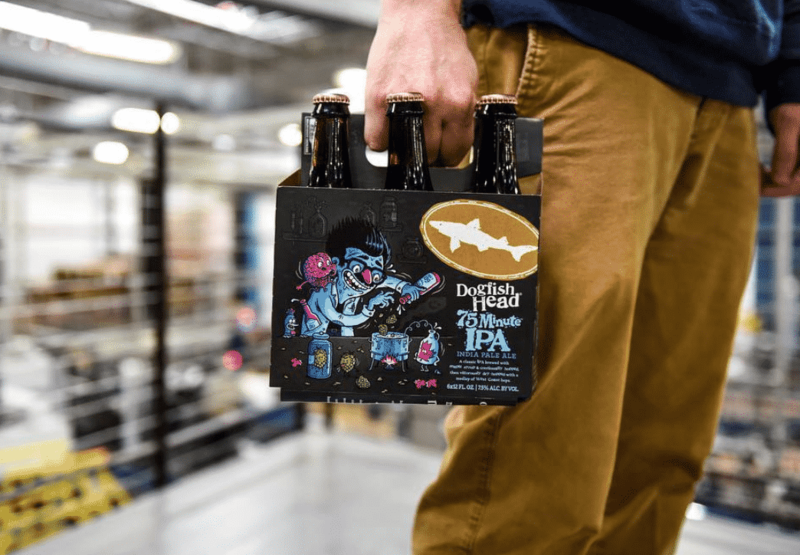 Since opening its original brewpub in Rehoboth in 1995, Dogfish has become a fantastic brewing mini-empire, with a distillery, brewery and seafood restaurant all part of the family. Try their famous 90 Minute IPA and move onto the rest of their hopped IPAs (of which there are the 60 Minute, 75 Minute, 90 Minute, and 120 Minute). 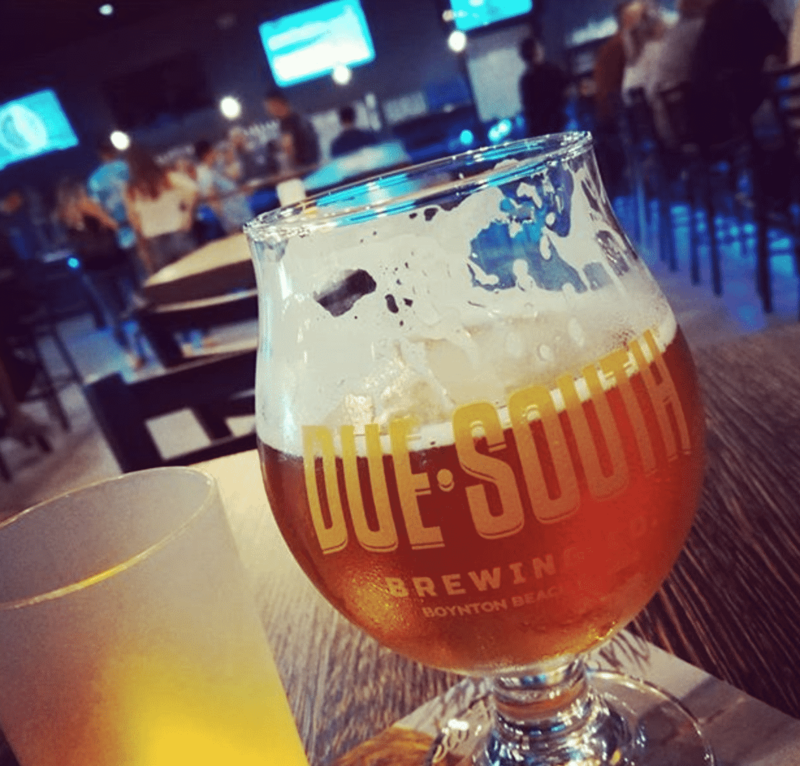 Due South Brewing Company has been producing ales and lagers in Boynton Beach since 2012. With a 15 barrel brewhouse, they craft quality beer for the state of Florida: supplying retail partners from Key West to the Treasure Coast. 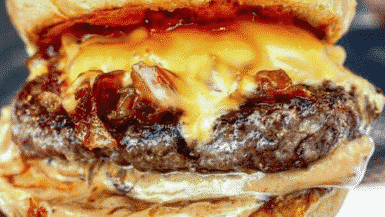 Not only that, they also serve droolworthy food. 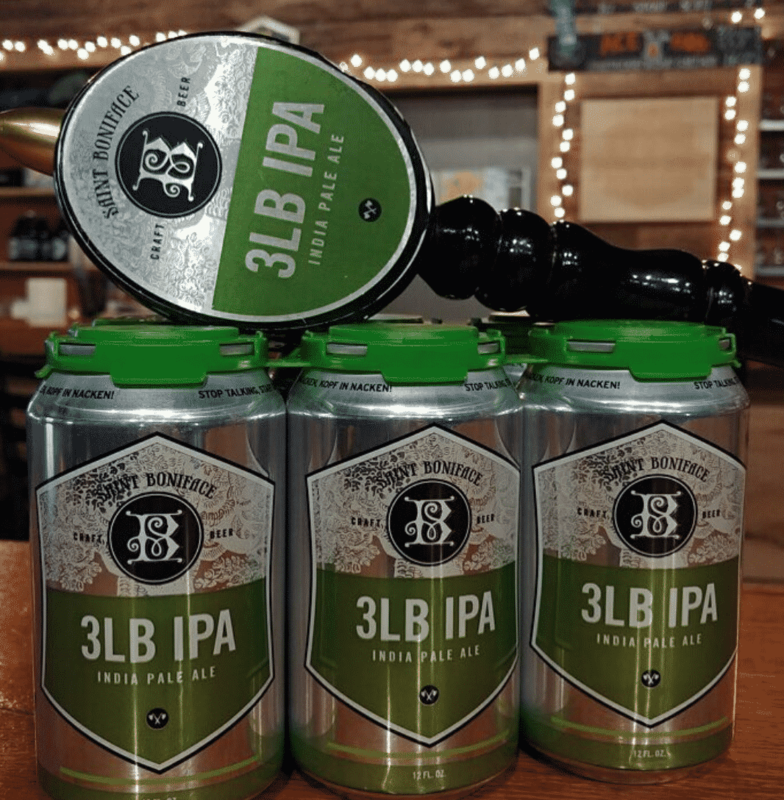 They started selling craft beer throughout the state of Georgia and in 2012 became the first craft brewery in Georgia to can their beer. 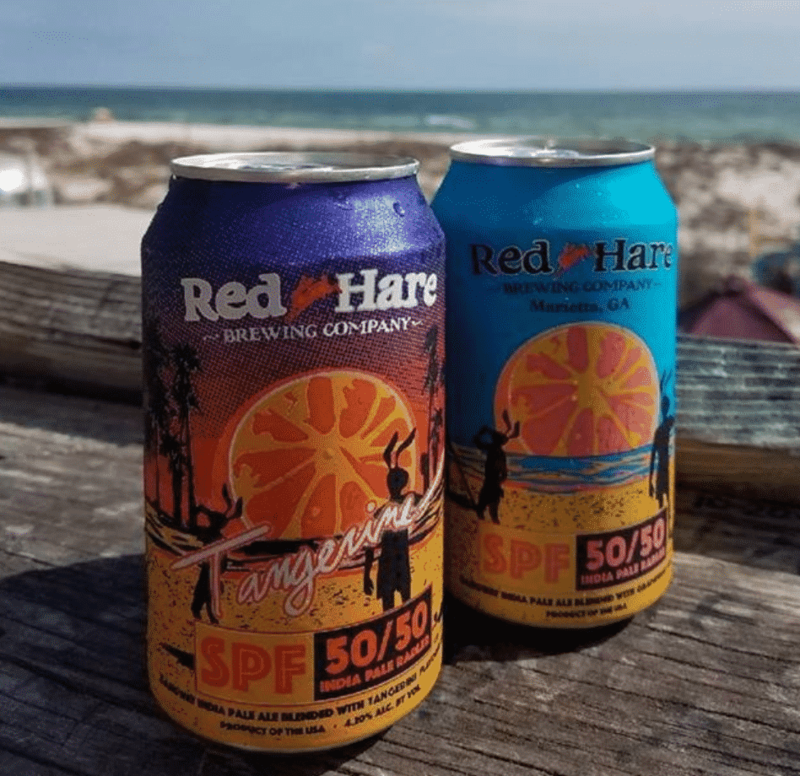 Red Hare offers six year round beers (SPF 50/50, Tangerine SPF 50/50, Soft J IPA, Gangway IPA, Long Day Lager, and Classic Pilsner), in addition to seasonal and craft soda brands. Something for everyone. 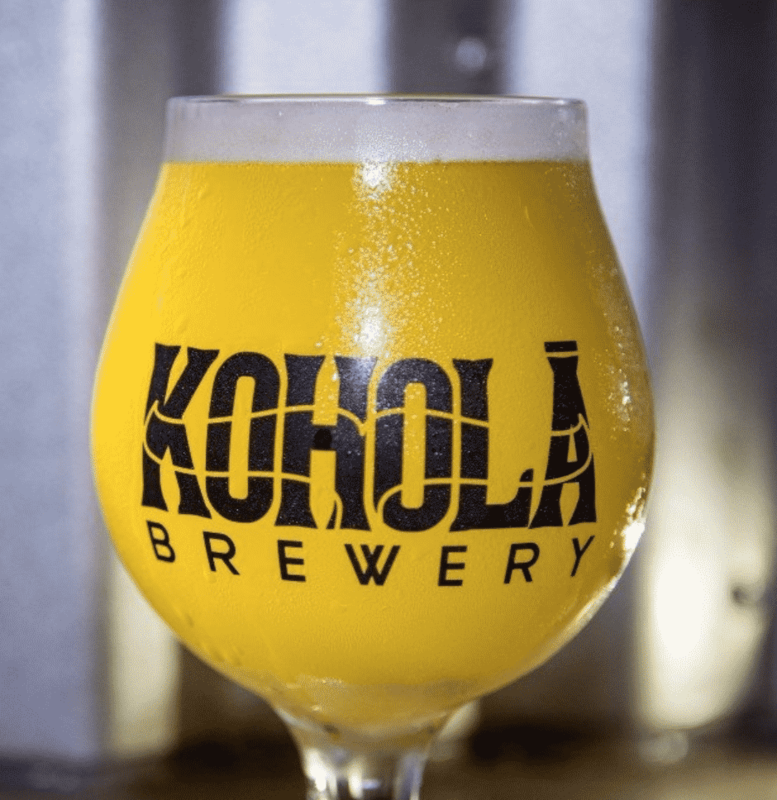 Kohola Brewery is a local, independent craft brewery located in the heart of Lahaina, Maui. They believe that good beer makes everything else better, and so do we. Sip from their Pineapple Lokahi brew under the cute fairy lights and you’ll be a fan for life. 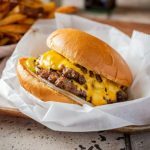 This is a truly great industrial brewpub in a former fire station with American comfort food, plus unique beers & spirits. 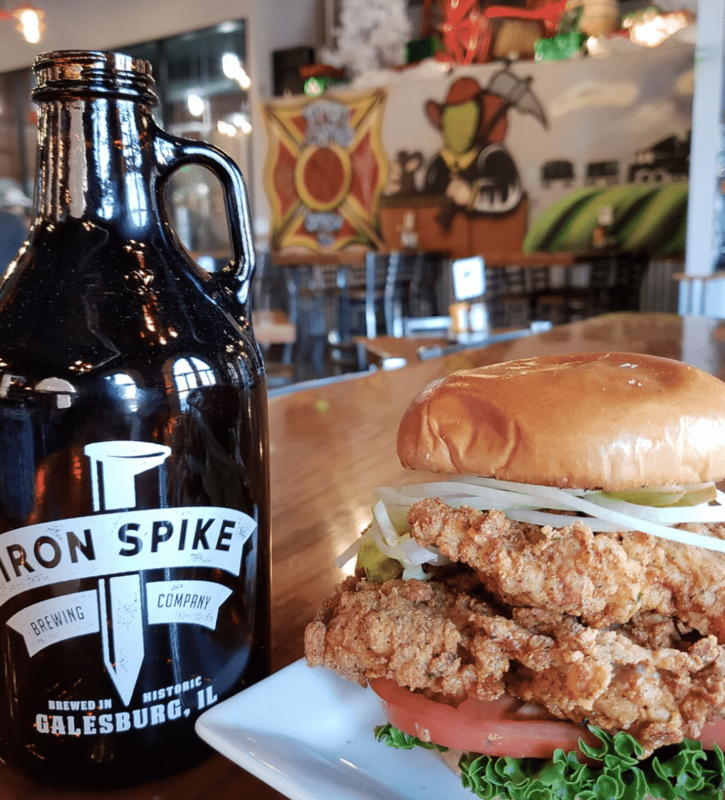 Iron Spike prides itself on original beer, great food, and local entertainment, while supporting the Galesburg community at the same time. 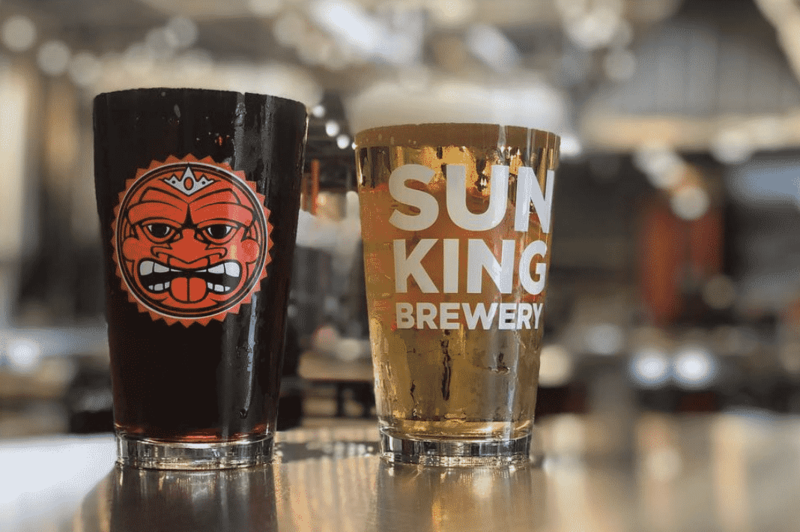 Sun King Brewing Company has a focus on continually crafting traditional seasonals and unique specialty beers. 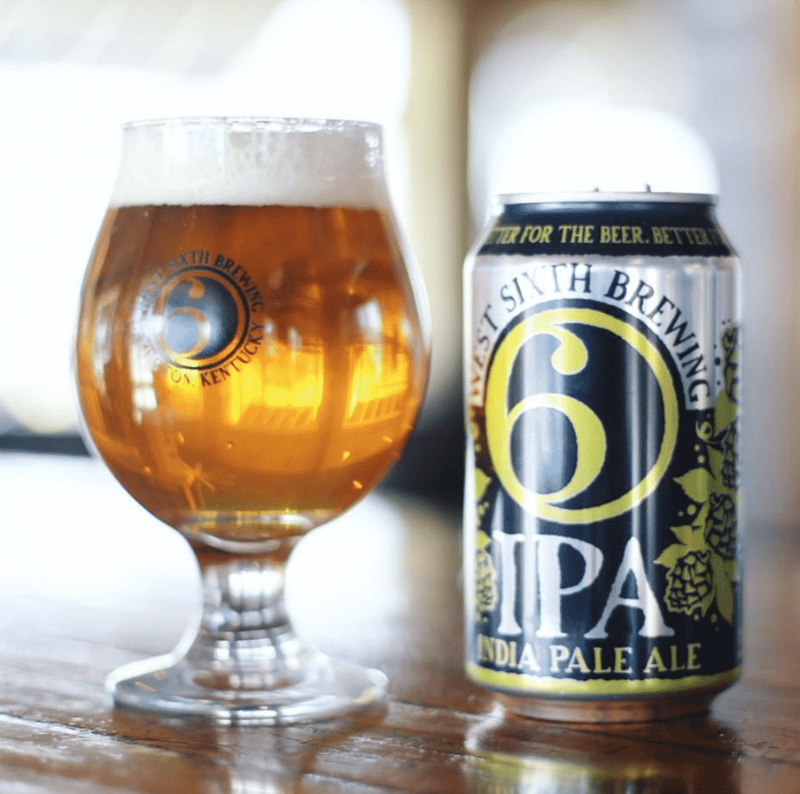 The brewery has five core beers year-round: Sunlight Cream Ale, Wee Mac Scottish-Ale, Osiris Pale Ale, Pachanga Mexican-Style Lager, and SKB IPA India Pale Ale. 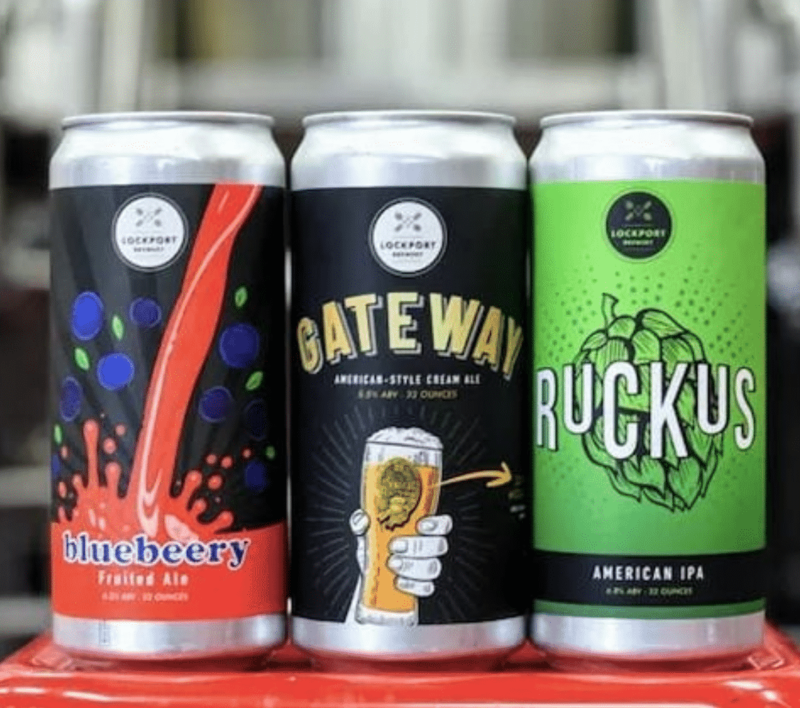 Confluence Brewing has 3 Flagship Beers – Farmer John’s Multi-Grain Ale, Des Moines IPA, and Capital Gold – plus a lovely variety of seasonal and limited beers. There’s a nice picnic area outside for summer months, but head in any time to taste these brews. They’re worth the trip. 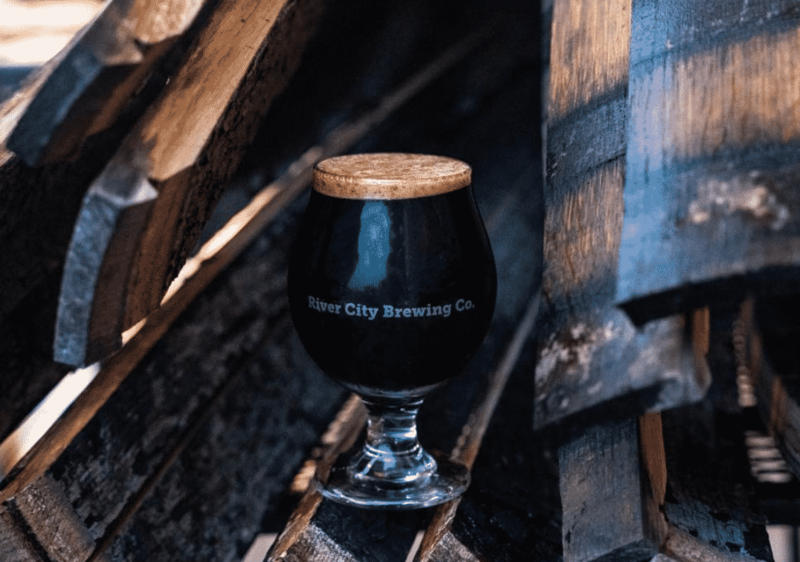 River City Brewing Co offers several different styles of craft beer and have as many as 16 beers on tap, including an ever changing seasonal beer that celebrates the diversity of beer from all around the world. Think you know beer? You’ll learn a thing or two here. 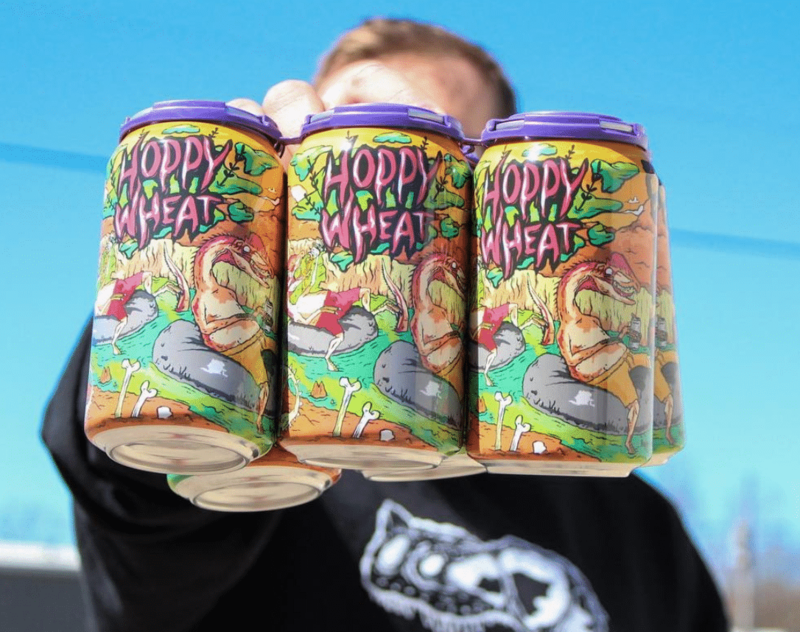 West Sixth Brewing founders have take over Lexington’s historic Rainbow Bread factory and are now creating craft beers. The taproom features several rotating fresh brews and the beer garden makes for a great place to chat and try out a pint or flight. They now can 14 beers throughout the year, with countless bottles being released. 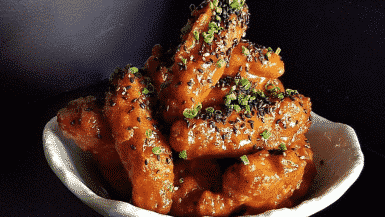 Southern people enjoy spicy, flavorful food and Great Raft beer not only stands up to the bold flavors in the local cooking, but complements it as well. 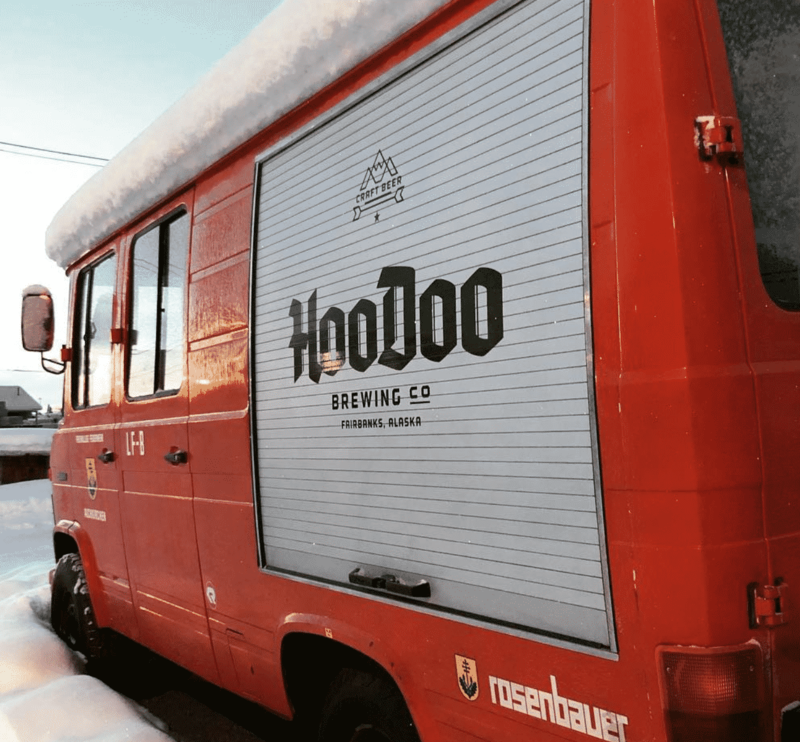 You can join in a brewery tour on the spot and there’s usually food trucks outside to fill your belly. Allagash strives to create some of the best Belgian-style beers in the world. 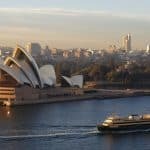 As well as traditional brews and spontaneous fermentation, you’ll also find some innovative beers to try. They’re open for beer pours and brewery tours seven days a week, so you’ve no excuse not to stop by. 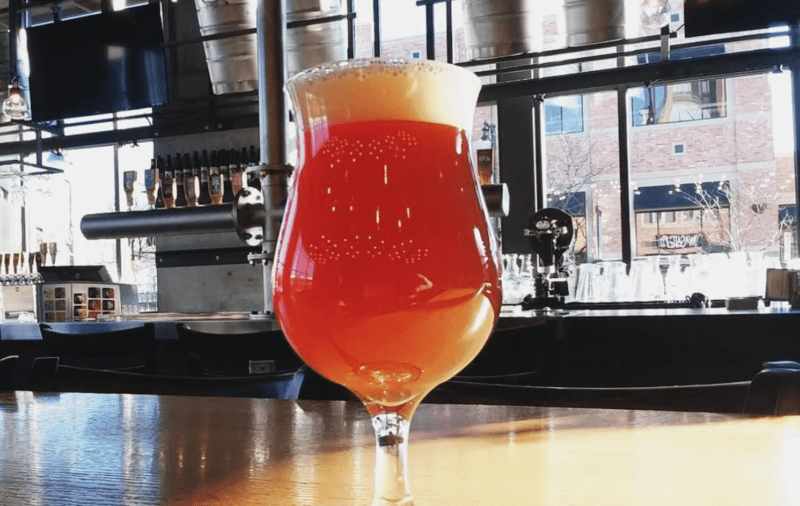 This 20 barrel brewhouse first got people excited with their Duckpin Pale Ale, and continue to raise the roof when it comes to tasty craft brews. Take a seat at their taphouse bar and enjoy a pint or two with friends, listen to some good tunes, play some games, and grab a bite. Ideal. 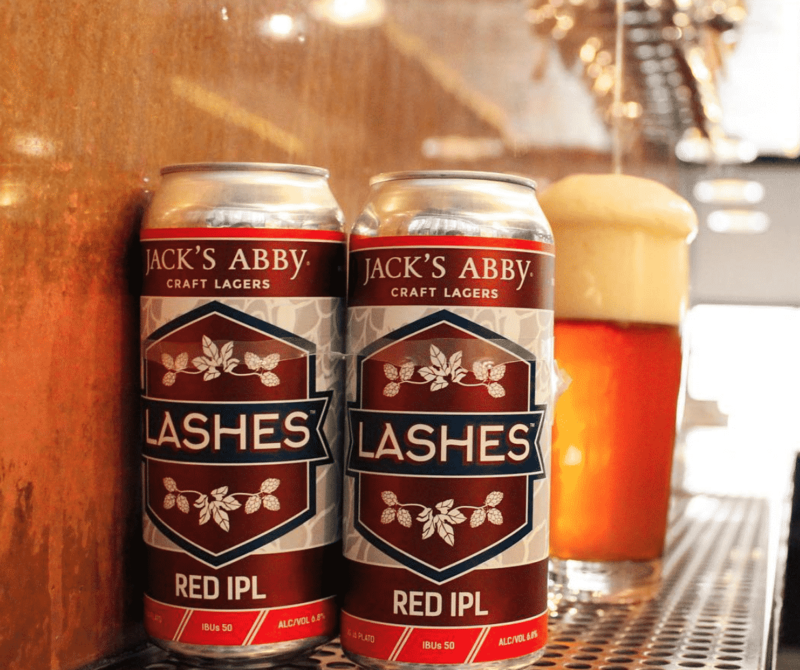 Founded in 2011 by three brothers, Jack, Eric, and Sam Hendler, Jack’s Abby is known for focusing entirely on craft lagers, using traditional German brewing techniques to create new, boundary pushing lagers. 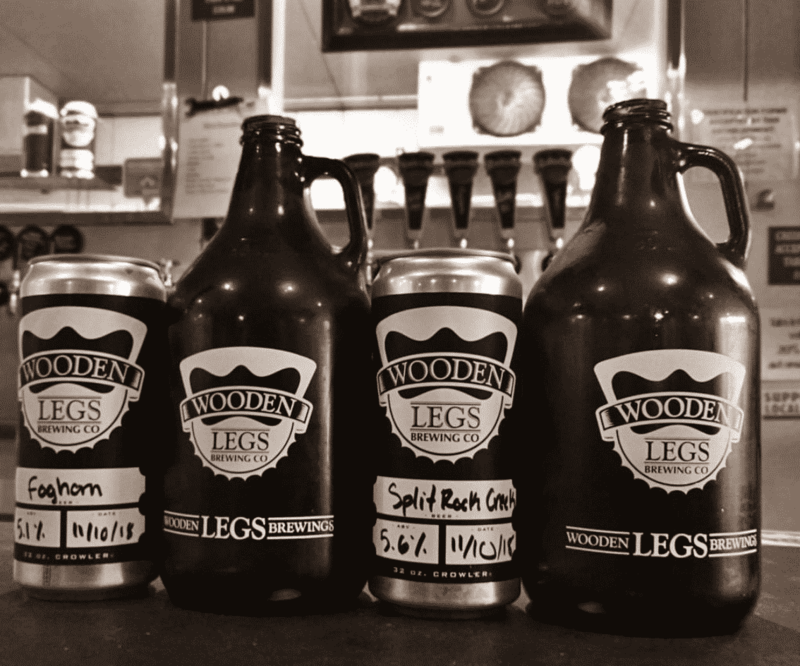 Be sure to grab some pizza and check out their experimental and barrel-aging tap room Springdale, next door. 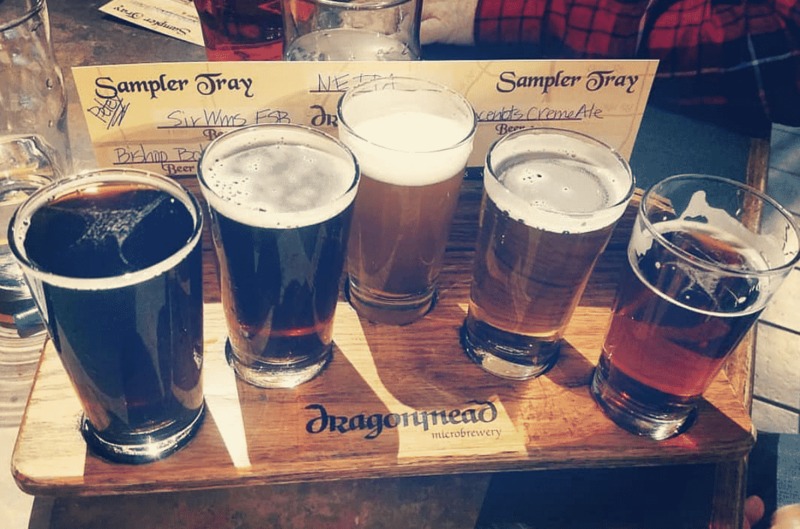 Dragonmead brewery was founded in 1997 – well ahead of the craft beer revolution in Michigan. Visitors to the Taproom can enjoy over 40 different styles of beer served along with over 15 selections of Dragonmead made wine and mead. A real brewery icon. 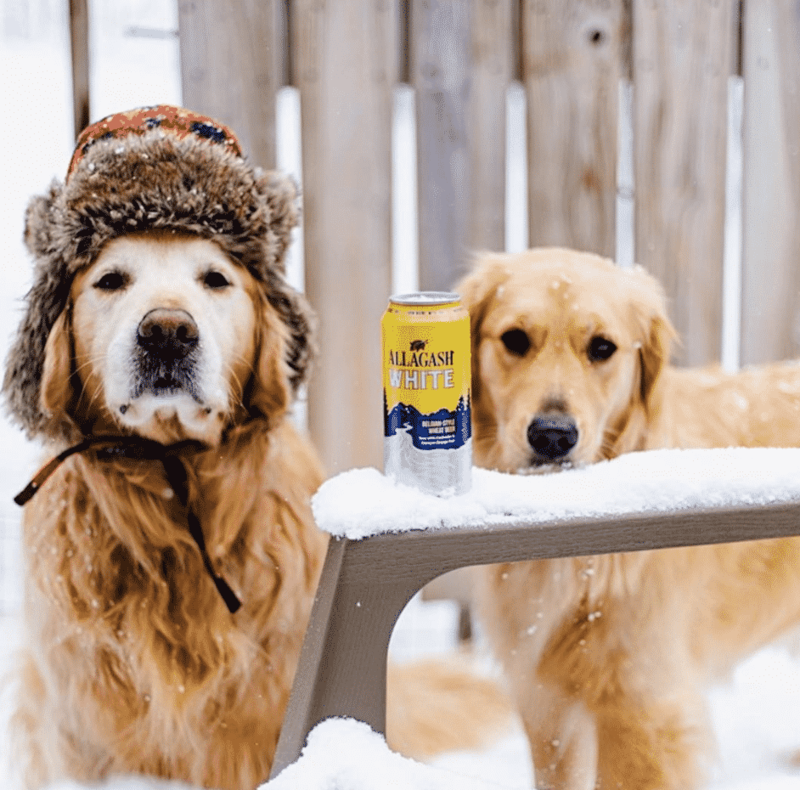 Check out Minnesota’s 7th largest Craft brewery, well known for its flagship beers of Farm Girl Saison®, Crosscut Pale Ale™, as well as American Pale Ales and other seasonal specialties. 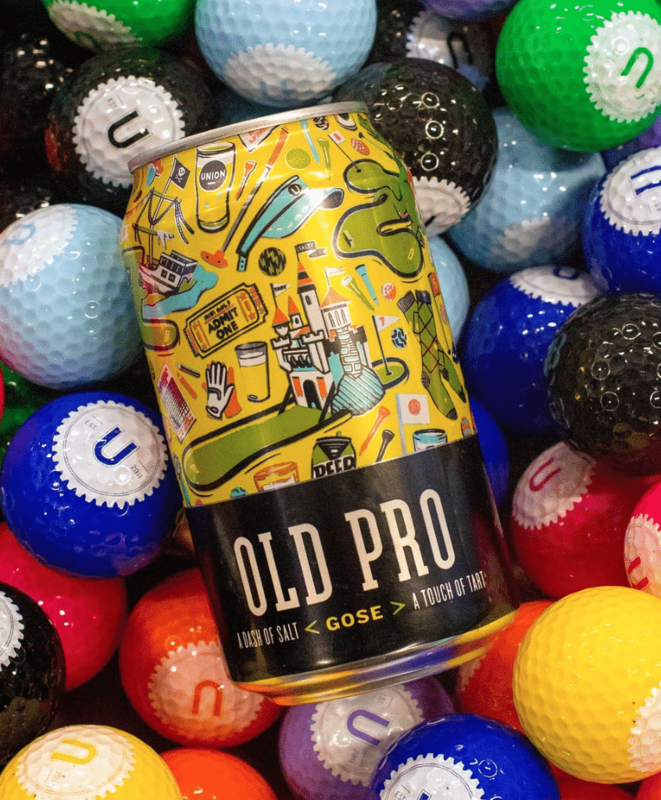 Currently the oldest operating Taproom in the State of Minnesota, we also reckon it’s the best. 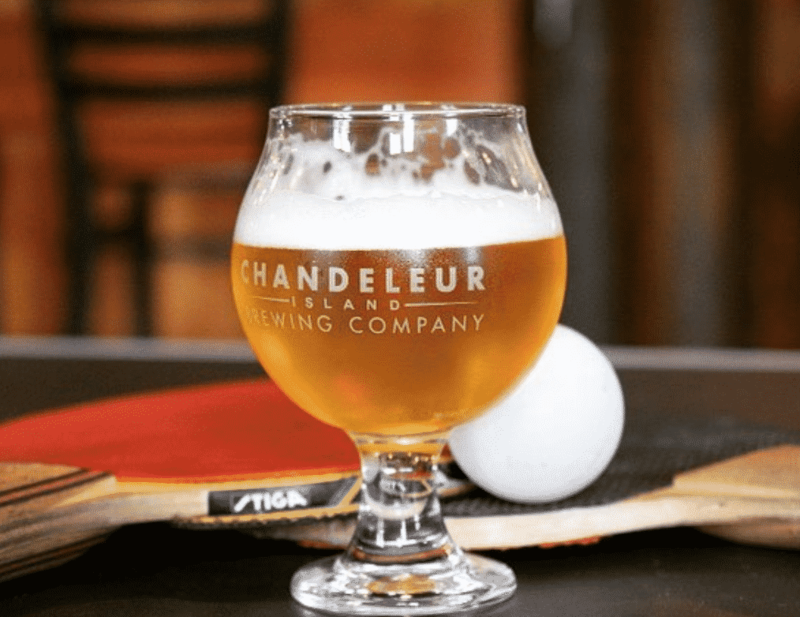 Chandeleur (“shan-duh-leer”) Island Brewing Company incorporates local ingredients from the Gulf Coast to create bold and fresh beers time and time again. 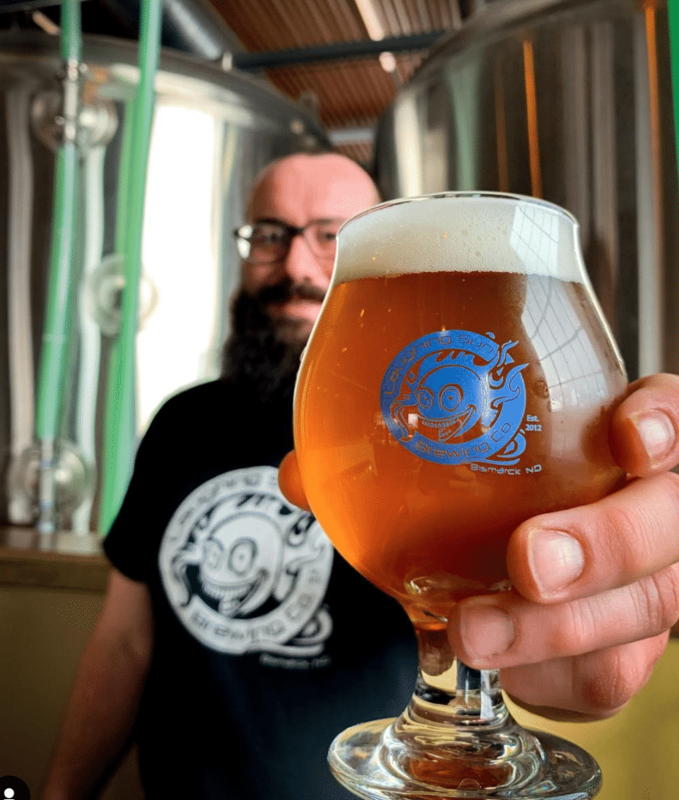 They have four super flagship brews, and a tap room located in a historic Gulfport building. Stop by the friendly tasting room here for a sample and a pint of hand-crafted brews. They have beers that are available year-round; plus ever-changing seasonal selections. Want some entertainment to go with those beers? The live music will help. You won’t find better traditional beers in the entire state. 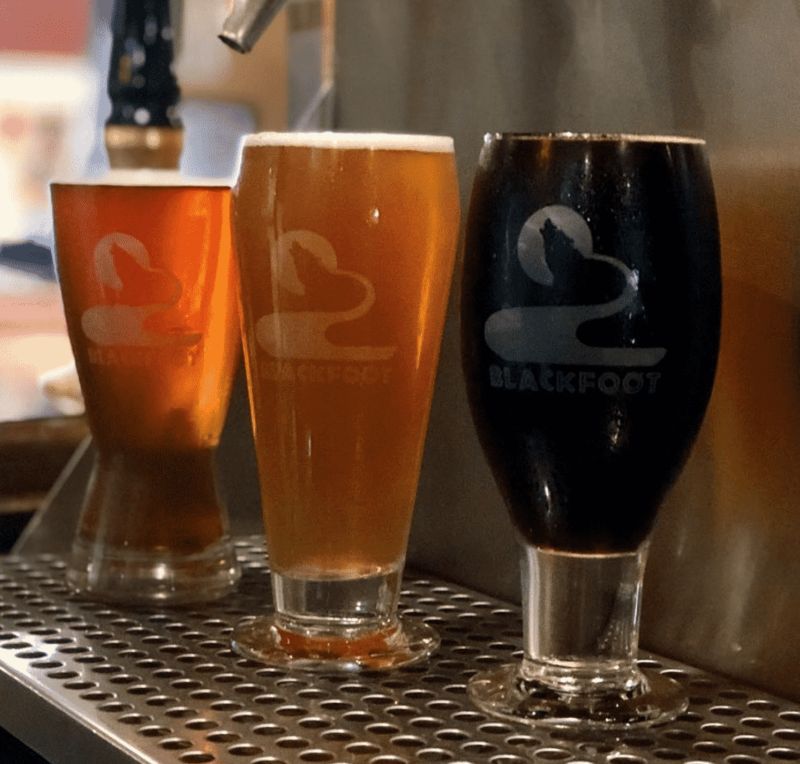 Each of Blackfoot River’s specialty beers are carefully handcrafted, 15 barrels at a time. Plus, they are never filtered or pasteurized, and are available exclusively on draught. Zipline Brewing Co. crafts artisan ales and lagers with high quality precision. With a few locations in the state, you can’t get fresher beer than that poured at their original taproom location. Try the seasonal Lemondrop Pale Ale if it’s available. This originally opened as a restaurant back in 1999 but after years of trading they decided to switch to their real passion, which was brewing beer. And Amen for that. Their beers are award winning and as well as a regular year-round line they bring out super popular seasonal beers. They feature hop-forward IPAs and pales, interesting lagers, delicious dark ales and a growing sour program. 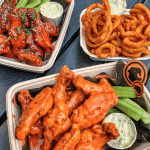 The best place to drink the beer is in their own premises in Newington where 12 taps and some great food options make for a wonderful experience. 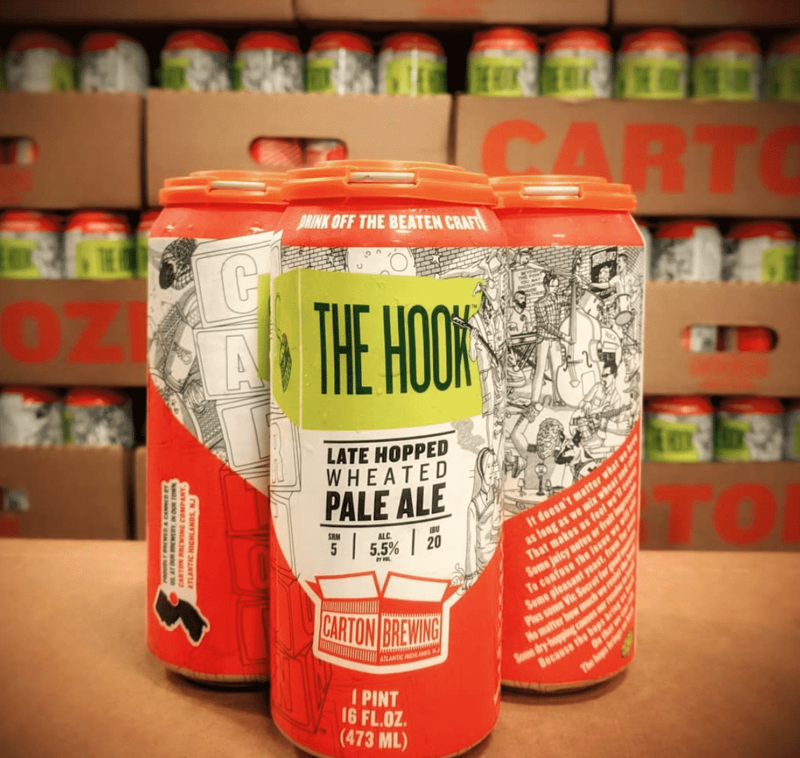 The brewery has been created by cousins Chris and Augie Carton, who teamed up and started the company In the seashore community where they were born and raised. 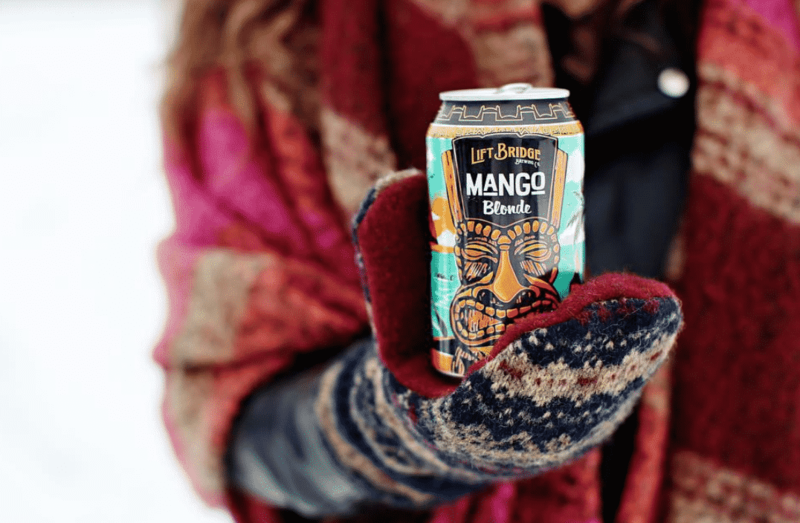 Based in a turn-of-the-century red brick warehouse, their expanding line of beers (sold mostly in cans) are supplied far and wide and award winning. 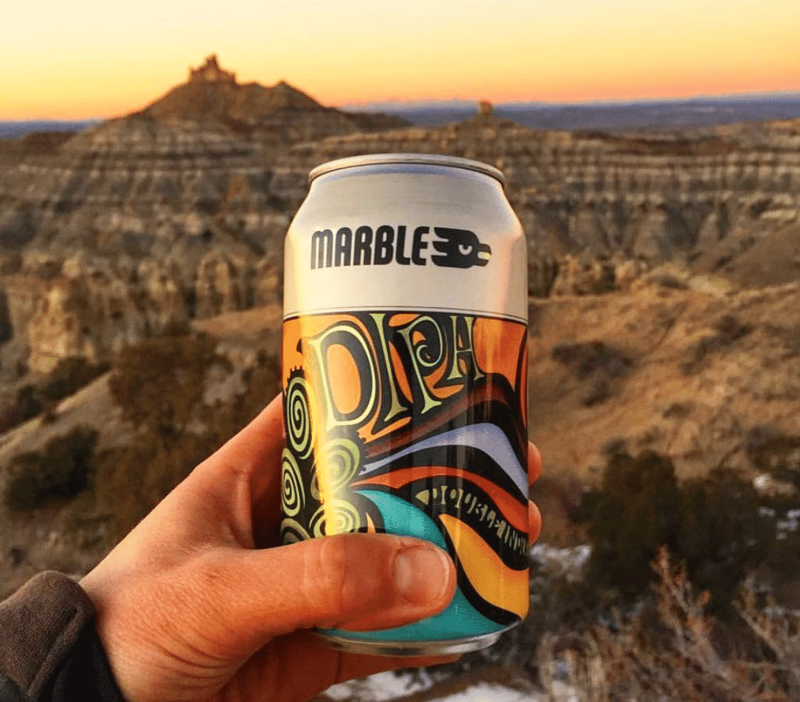 Marble Brewery is just about to celebrate their 11th year in business and now distribute as far and wide as New Mexico, Arizona, Southwest Texas and Southwest Colorado. 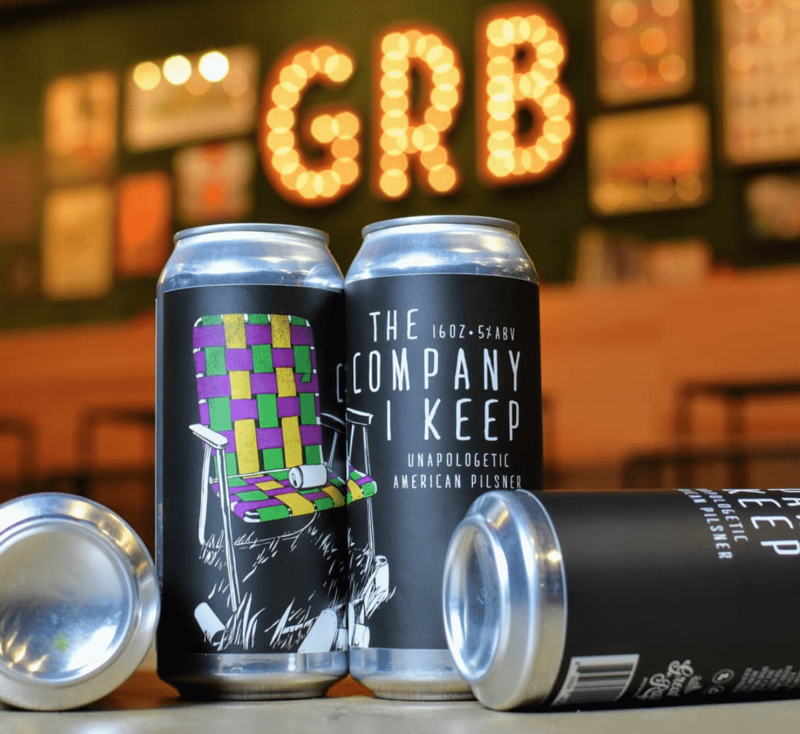 Their flagship brewery is home to a 30 barrel brew house, where their brewing team are as passionate and knowledgable about craft beer as any team in the country, if not more so. Arts and Crafts Beer Parlor say that their goal is to “revolt against the standard New York City Sports Bar” and that they aim to be like an extension of your living room. Well, they’re succeeding. 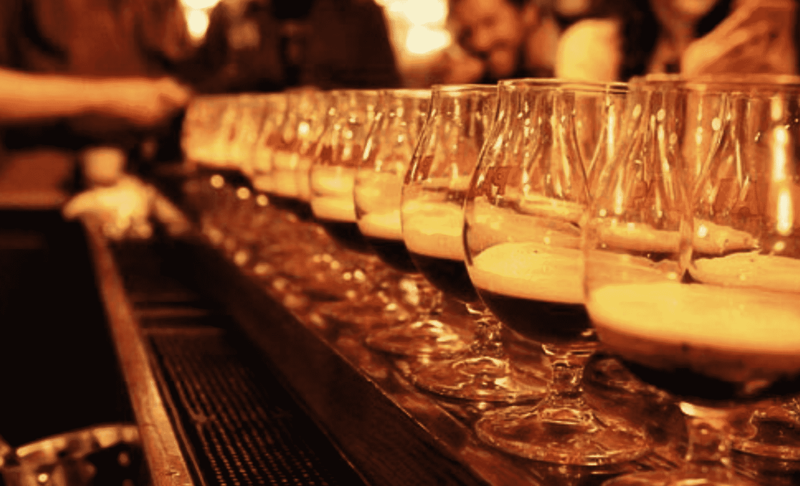 With 24 beers on tap, they also host monthly tastings and lectures about beer. 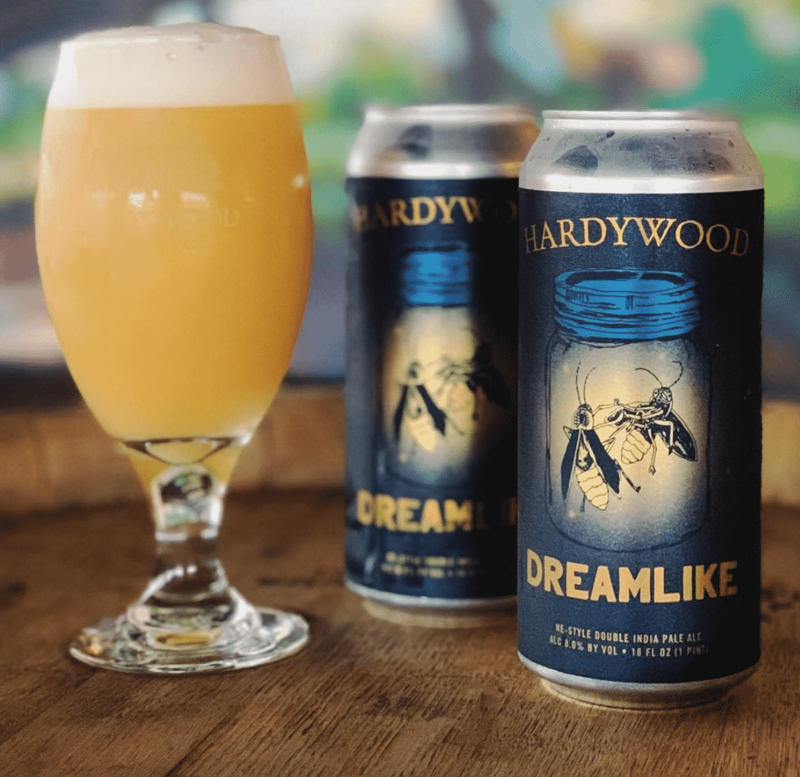 You can look for these beers on draft around Western North Carolina, but if you’re driving through Franklin or hiking by on the nearby Appalachian Trail, walk down and check out the place itself. 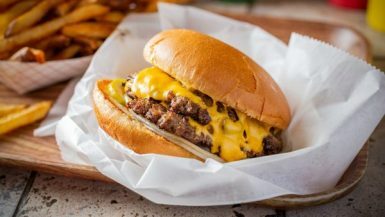 Grab a bite to eat at the food truck and get a peak at the stellar 15 barrel brewhouse. 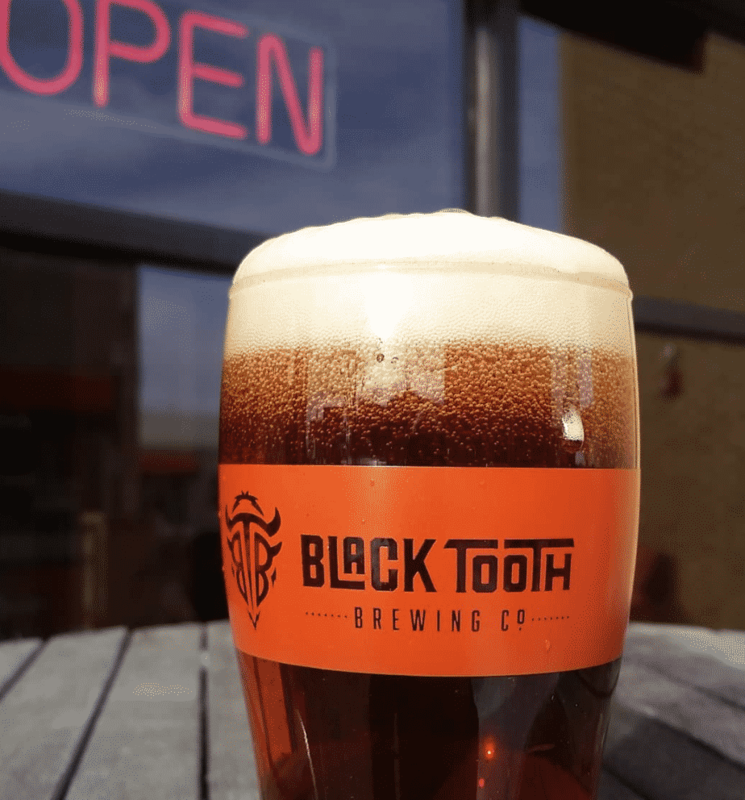 This music hotspot and top North Dakota brewing destination for both the local community and tourists is a real key player in the craft beer game. Our tip? Try the chocolate and chokecherry malt “19thAmendment” in honour of female craft beer supporters. Lockport Brewery, started by husband and wife team Andrew and Lauren Marburger, is Tuscarawas County’s first brewery in over 65 years. As well as tasty IPAs and Porters, they also do a delectable Blueberry Ale when in season. 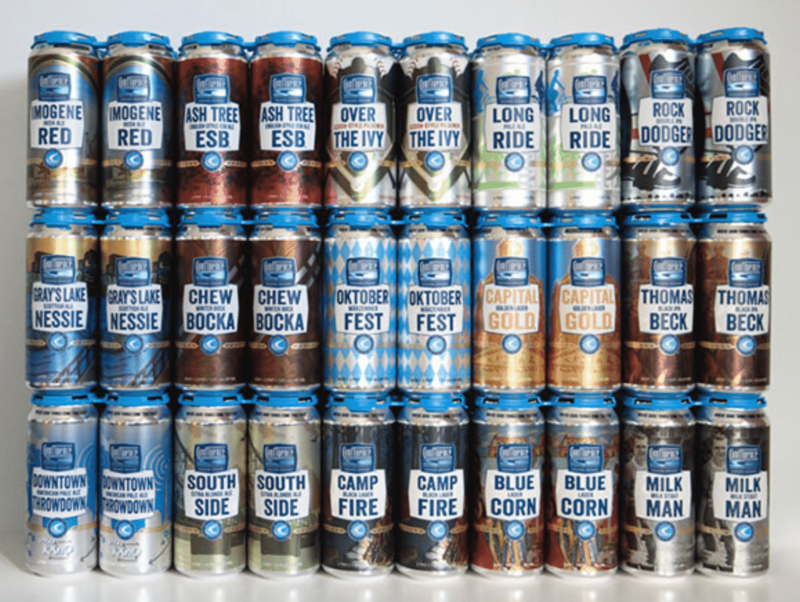 Since 2009, COOP has created a year-round lineup of nine canned beers in addition to four canned seasonal beers. Free brewery tours are offered every Saturday on a first-come, first-serve basis. And with beers as full of flavour of these, you’ll 100% want to make it to the tour. 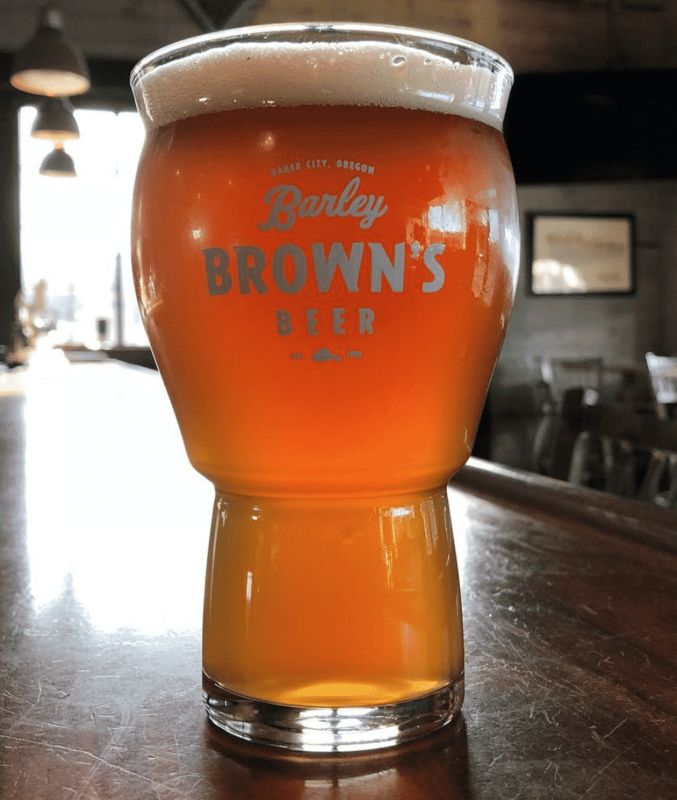 Barley Brown’s is a family-owned brewery and restaurant with a brilliant variety of awesome pub food and small-batch, hand-crafted beers.From Belgian farmhouse ales to dry Irish stouts, these guys do it all so well. 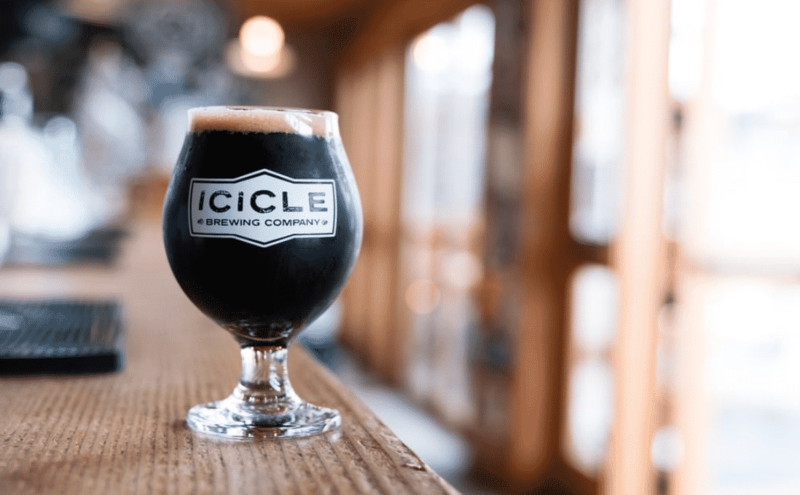 Enjoy year-round, seasonal and limited edition beers crafted and served on site at this laid-back brewery where you can also chow down on pizza. Join them at the St Boniface Craft Brewing Co. for drafts or growler fills of their rich and refreshing brews. 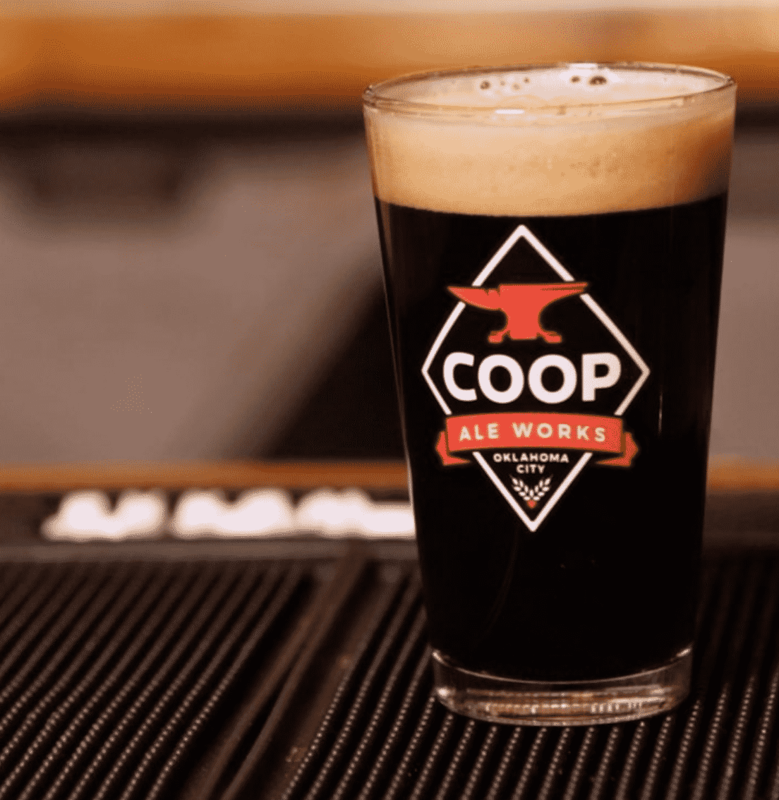 This seven barrel brewery has a fondness for cask-conditioned ales, so every Friday they celebrate that format by releasing a specialty beer that’s available only in-house. 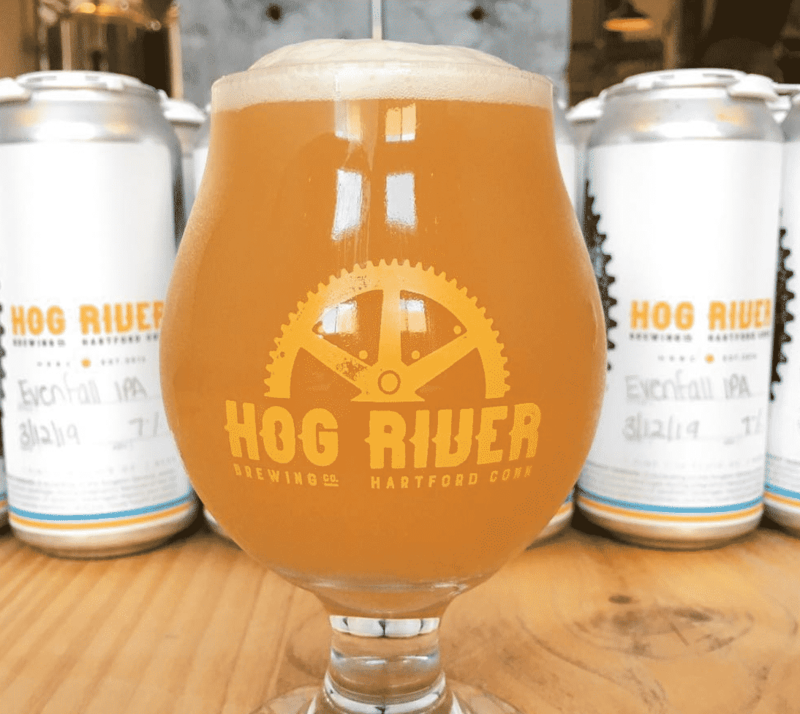 They’re building a bigger brewery on the West Side of Providence, Rhode Island, but in the meantime, you can still find them just a short walk from Luongo Square. 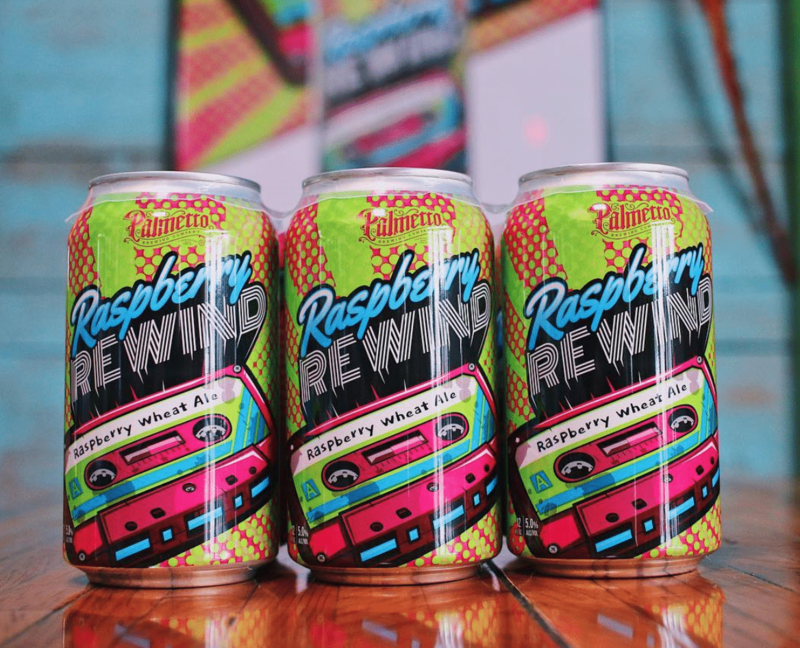 The first licensed brewery to open in the state of South Carolina since the fall of Prohibition, Palmetto played an important role in the rise of craft brewing within the state. Their divine Espresso Porter uses coffee from their neighbours at Charleston Coffee Roasters. Don’t leave without trying it. 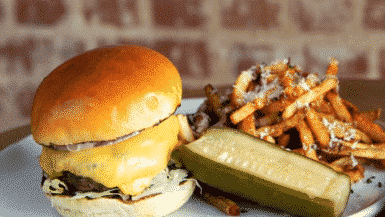 This independent craft brew pub has 21 taps of local and on-site brewed craft beers, plus pizza, fresh deli sandwiches and hoagies. 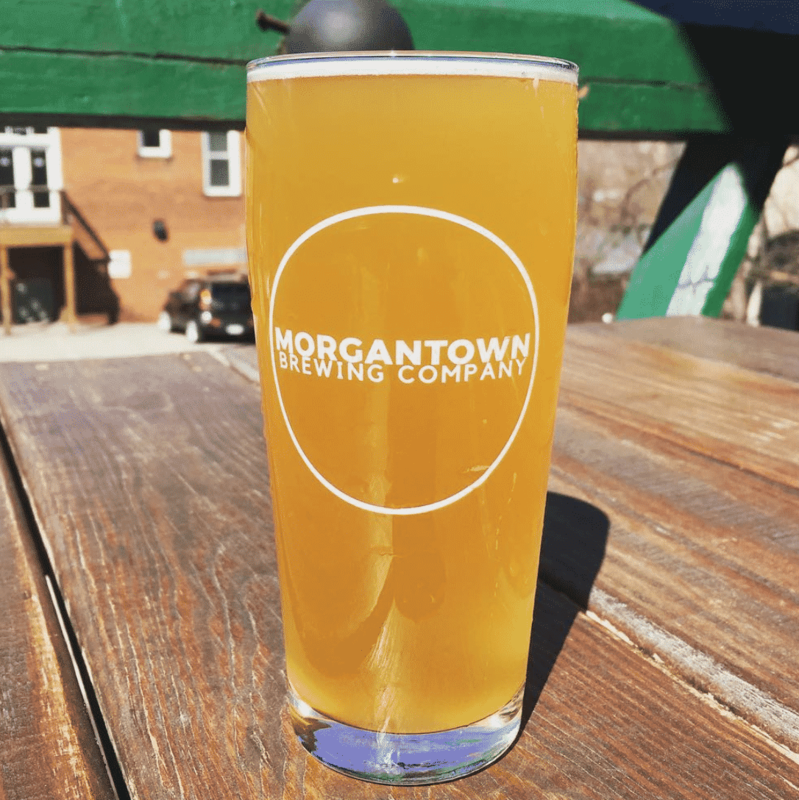 The staff are highly trained to help novice beer drinkers explore the tap list offerings, which includes flagships and a decent selection of rotating seasonal taps. A Nashville rite of passage, doing a brewery tour here is a must. 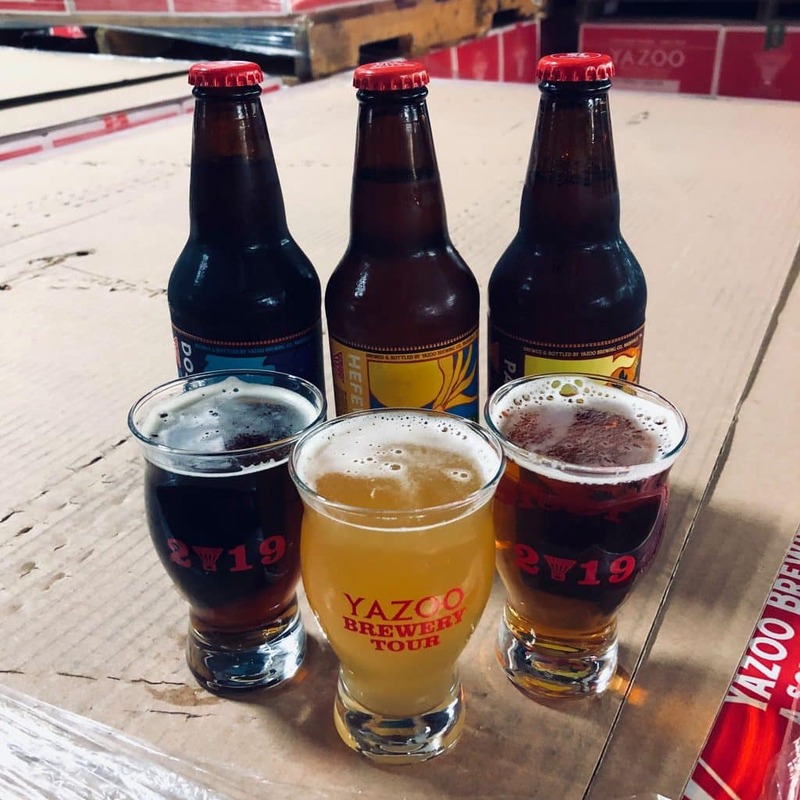 Yazoo even managed to brew Tennessee’s first ever legal high-gravity ale, SUE, a smoked porter, that brings to mind the local barbecue cuisine. 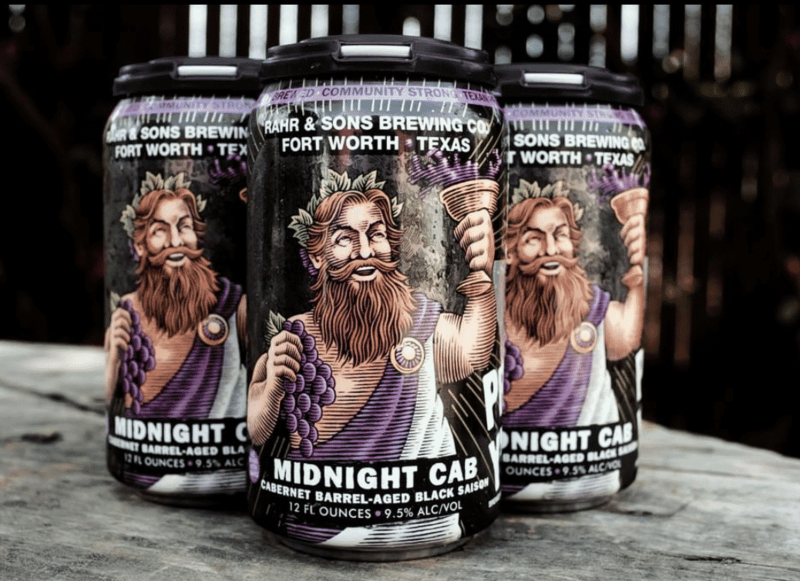 Coming from a long line of German-beer brewers, there was never a doubt that Rahr & Sons Brewing woud be anything but amazing. Don’t be surprised to see an artist displaying work or a bakery handing out samples of bread made with spent grain from the brewery. They love to highlight an important part of the North Texas arts community. Wasatch was the very first brewery in Utah – and one of the first craft brewers in all of the U.S. – brewing award-winning brews since 1986. They do award-winning beers on draft, such as Polygamy Porter, Apricot Hefeweizen and Seasonal Selections, as well as strong bottles. 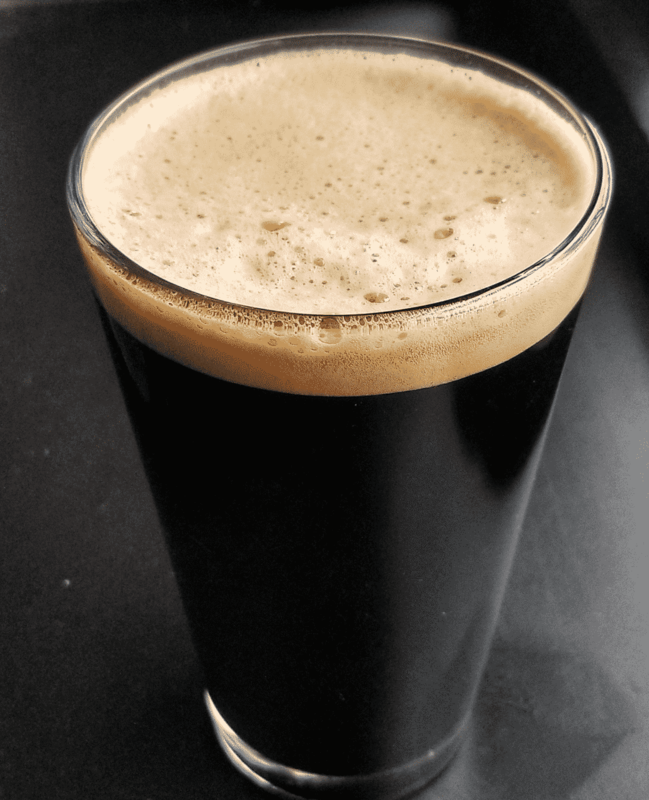 Owner Greg Noonan’s book “Brewing Lager Beer” is regarded as the most comprehensive home/micro-brewing reference, and he even invented his own style of beer, Black IPA. With those credentials, it’s no wonder beer geeks flock to this piece of heaven. 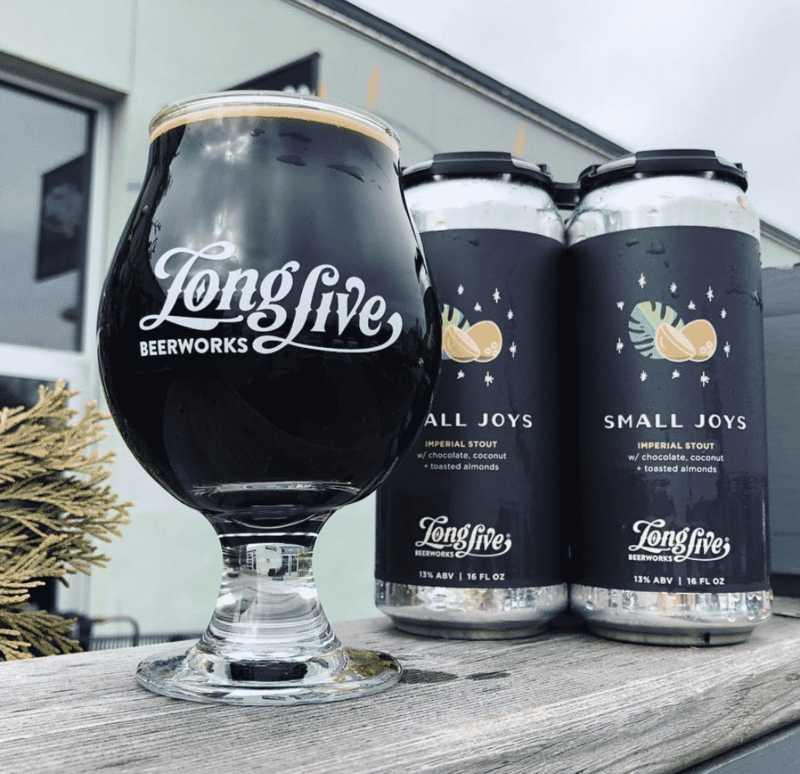 This lively brewery produces a range of traditional European ales and lagers, as well as a host of innovative new styles with American, Virginian and Richmond, influences. Taprooms hours regularly include food trucks and live music as an added bonus. 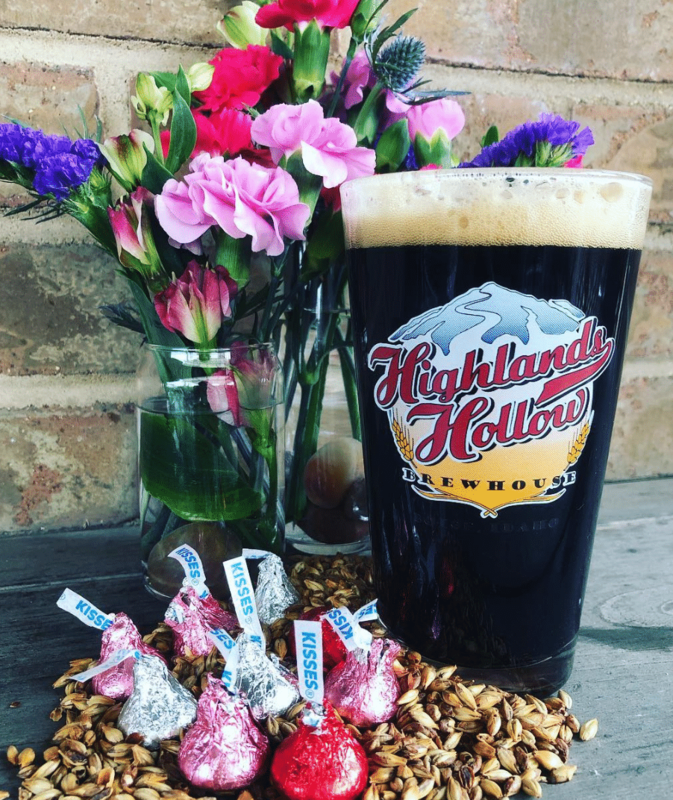 This is a charming local production craft brewery and family friendly tasting room where you can enjoy fresh ales and lagers with locally produced artisan foods. Plus, because the craft brewery is right in Washington’s Cascade Mountains, the view is just as good as the beer. 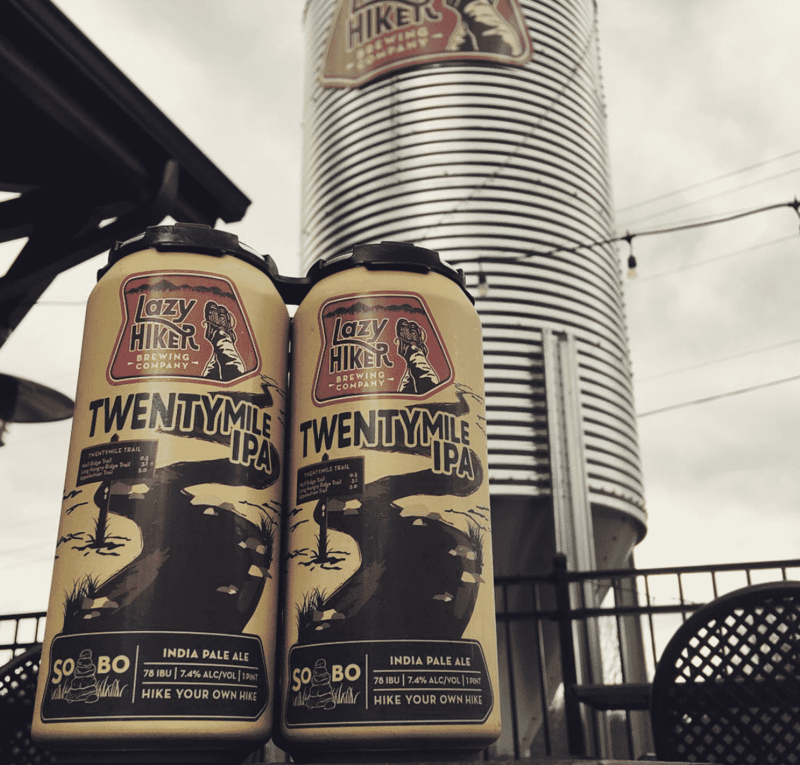 Since re-opening in 2009, this hardworking brewery has seen some well deserved success. Currently, the brewery offers ten craft brews on tap with several seasonal and small-batch special brews released every week. 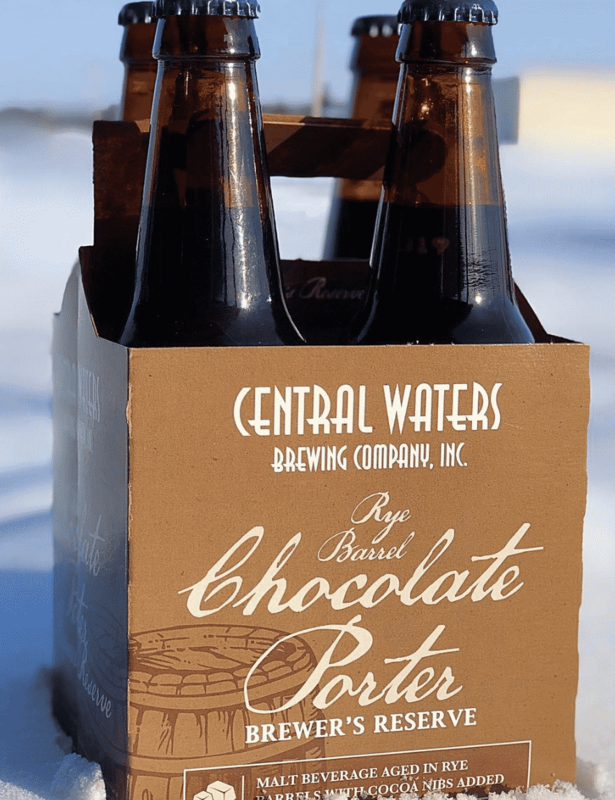 Central Wisconsin’s premier craft brewery, brews top quality ales and lagers for Wisconsin. Come visit their taproom with 12 different beers – the Honey Blonde is a beautiful cream ale brewed with honey. 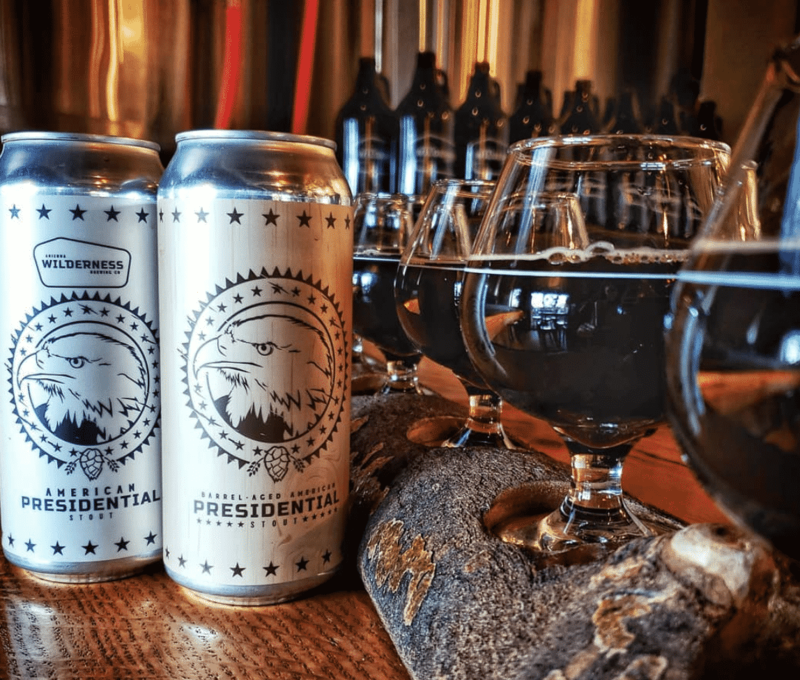 Sheridan Wyoming’s most highly awarded brewery is at the base of the majestic Big Horn Mountains. Since the spring of 2015, the completion of a multi-million dollar production facility means they’re capable of producing upwards of 50,000 BBLS a year.